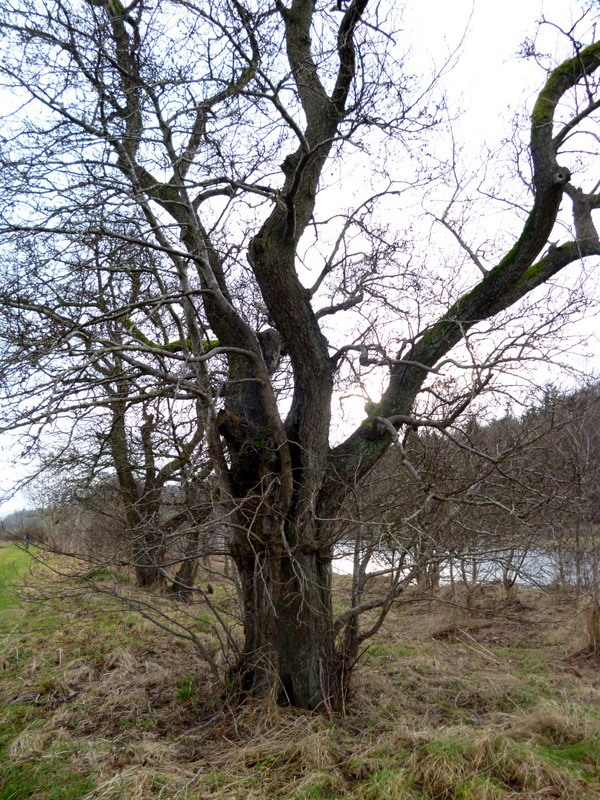 I was walking in the woods yesterday and found this lovely, twisting tree on the riverbank. It’s in a newish planting (2006) of native woodland trees so it is surrounded by young ash, oak, alder and willow to create a small, but dynamic, native habitat. The woodland is also part of a scheme to capture atmospheric carbon dioxide and ‘sequester’, or store, it to help to fight climate change from man-made greenhouse gases. The right trees in the right environments are a fantastic way to store CO2, through photosynthesis and storing the products of photosynthesis as bark, leaves and branches. It’s good to see these schemes becoming more common, and let’s hope they are a successful part of the armoury in our battle against the worst excesses of man-made climate change. More information about this small woodland in Dumfries and Galloway, and the carbon sequestration scheme it is part of, can be found at the VisitWoods website. 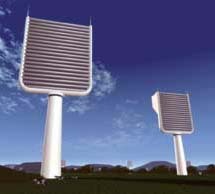 In fact, trees are such good absorbers of CO2 that some geo-engineering schemes have developed artificial trees. It has been calculated that around ten million artificial trees could remove 3.6 billion tonnes of carbon dioxide a year – about 10% of our global annual carbon dioxide emissions. However, although artificial trees are considered to be more ‘efficient’ at capturing CO2, there is also the issue of what to do with the stored CO2. Natural trees convert this to stored woody biomass; the captured CO2 from artificial trees could be converted into ‘syngas’ as a power source to replace fossil fuels, or a liquid fuel. So, OK, artificial trees sound good in principle, and they might be able to capture more CO2, but in terms of character, beauty, biodiversity, seasonality and function they could never replace the real thing. Where would the birds nest, for starters? So I think I’ll stick with the real thing, thank you, and do my best to reduce my carbon footprint in the first place. And I’ll also support schemes such as tree planting to help absorb our CO2 and make the world a nicer place – for us, as well as the birds. And insects. Small mammals too. Oh, and the lichens and fungi……………. Artificial trees – might be good for taking CO2 out of the atmosphere, but where would the birds nest? Reaching for the sky – why trees can’t grow beyond 100 metres and what happens when they try! There’s a really interesting piece of research just been published (Jensen and Zwieniecki ) which suggests that the taller the tree, then the smaller its leaves, and this also means that there is a limit to how tall trees can actually grow. The sugars produced in leaves from photosynthesis, and which are the building blocks of trees, travel through the tree via its phloem, the equivalent of a mammal’s ‘blood system’. The bigger the leaves, the faster they reach the rest of the plant. But regardless of the size of the leaf, phloem in stems, branches and the trunk acts can become a bottleneck, and eventually it becomes a waste of energy for leaves to grow any bigger because the tree cannot physically transport the sugars any faster. So Jensen and Zwieniecki have shown that as trees get taller (with lots of trunk and branches), their leaves get smaller (so less risk of a ‘sugar backlog’). And at around 100 metres height, a tree can’t actually produce a leaf which can support a tree’s energy requirements, so trees don’t generally grow any taller. 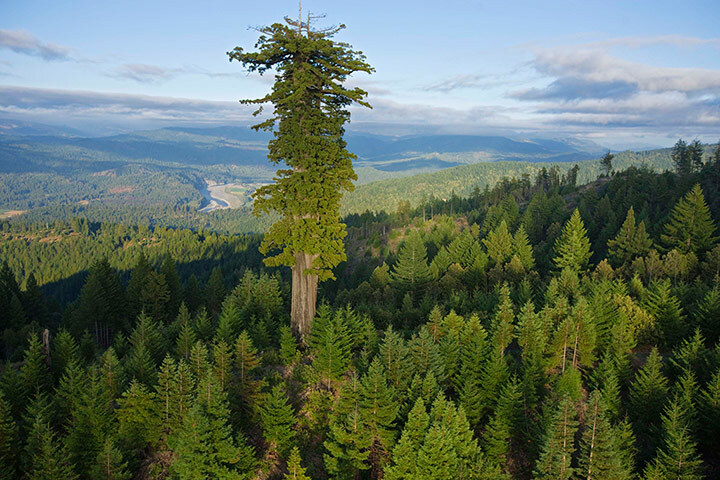 One of the world’s tallest trees is in the Humboldt redwood’s state park in California, at around 116 metres, and there are some spectacular photographs of the world’s tallest trees here at the Guardian. But instead of growing taller, as trees get to their maximum height they put down extra growth around their trunk and into branches. There’s a lot of research going on at the moment into ancient trees, not just for their biodiversity but also for their role in carbon storage. 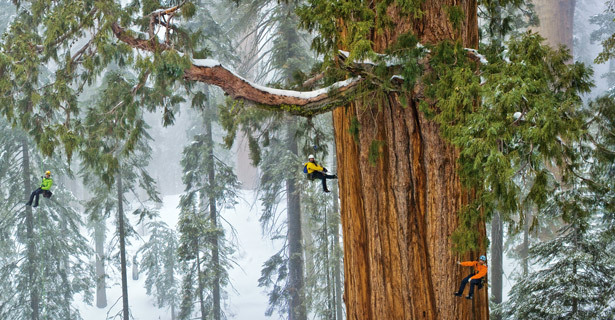 And some intrepid scientists at Humboldt State University have been measuring the ancient ‘President’ sequoia in Sequoia National Park inch by inch –as this awesome photograph from National Geographic just shows! Aged a little over 3000 years, The President stands 247 feet tall (around 76 metres), has over 2 billion leaves and still growing strong – converting masses of CO₂ into cellulose, hemicellulose, and lignin and storing them in its 54,000 cubic feet of trunk and branches. It shows that ancient trees are still a huge carbon sink in our battle with climate change and increasing greenhouse gases. 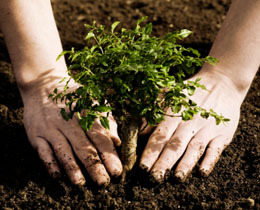 Get digging – it’s National Tree Week! We are all very excited here at Wood Elf Towers, as it is National Tree Week next week! First held in 1975, National Tree Week aims to get everyone in the UK planting trees, wither as an individual or as part of a community led project. Trees are important in our lives for a million reasons – for their beauty, ecology and biodiversity, absorbing and locking away carbon dioxide, regulating urban microclimates, absorbing air pollution, protecting us from wind and rain, moderating flooding impacts, providing ‘food, fuel and fibre’……and that’s without mentioning the physical and mental health benefits that trees provide we mere mortals with. The reasons to love and protect our trees go on and on!